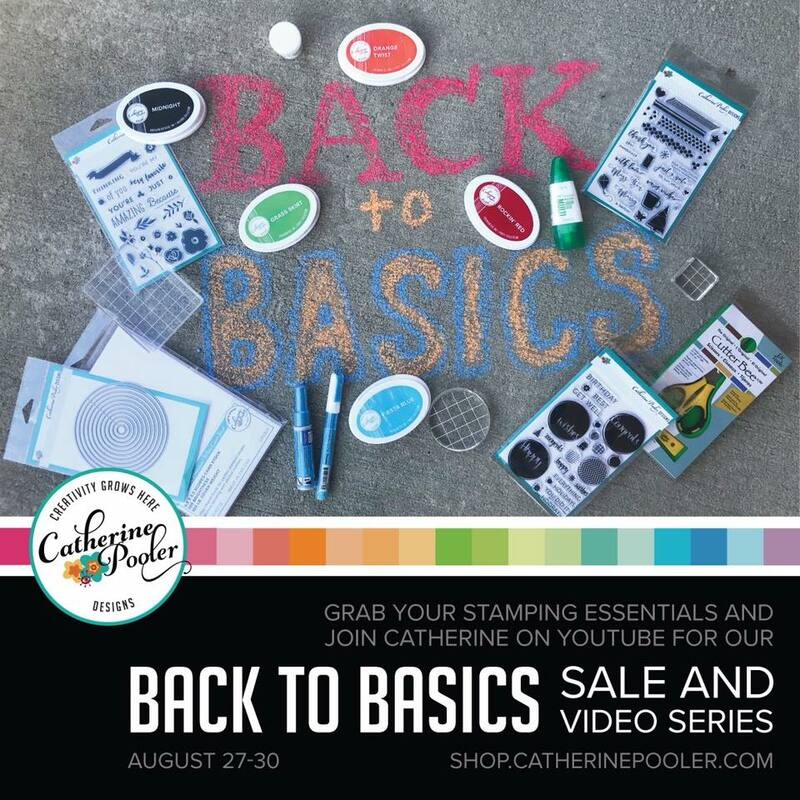 Back to Basics with Catherine Pooler! The Catherine Pooler genuisues are hosting a super fun event right now, and I'm here to tell you all about it! 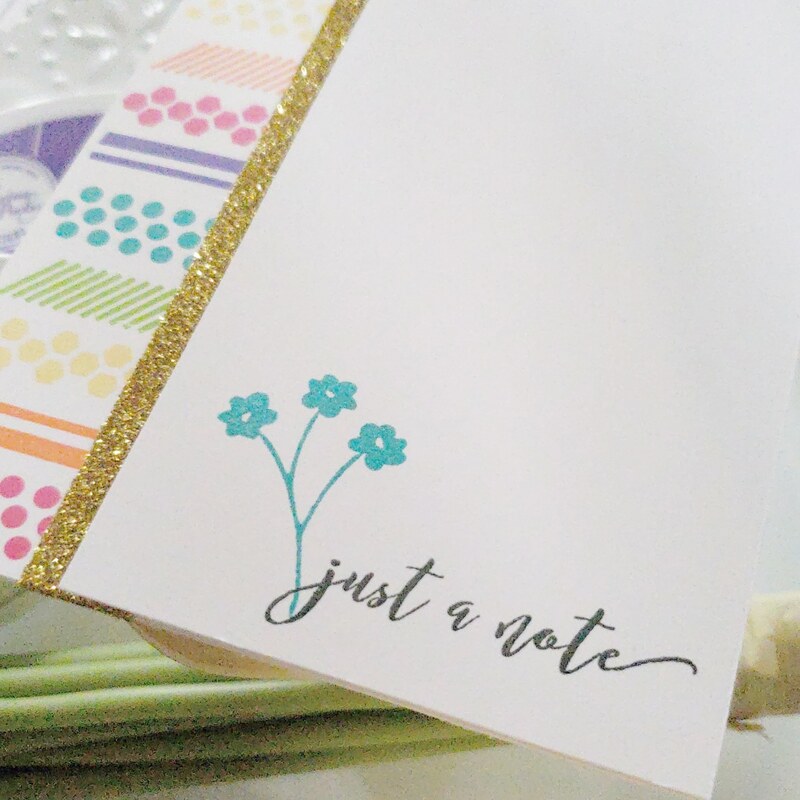 You can find the awesome videos in the Back to Basics series here and you can read all about the series here , but basically the big idea behind this series is to encourage cardmakers not to forget their basic stamping and cardmaking skills! Sometimes we tend to get bogged down with pressure to create these really elaborate cards, but often times--a clean and simple card with just the basics has the most impact! Today's card utilizes one simple technique: masking. Everything else is really basic and easy! Start out by cutting and scoring a 4.25 x 5.5 inch card base. 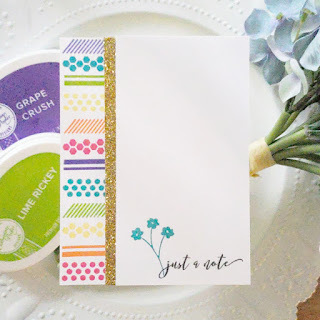 Use a piece of masking tape, washi tape, or even a post-it note to mask off the right side of your card, and then using the different pattern stamps in the For Everything set and rainbow colors of CP inks, stamp your border section on the left side of the card. After you've finished creating your left side, you can take off your masking component and then stamp a simple sentiment and image in the bottom right corner of the card. I chose to add a strip of gold glitter paper to my card, and I also mounted an additional panel with fun foam and glued it on to the card, just to give some added dimension and interest. So shush your internal voice telling you that your cards have to be really complex and go back to the basics! 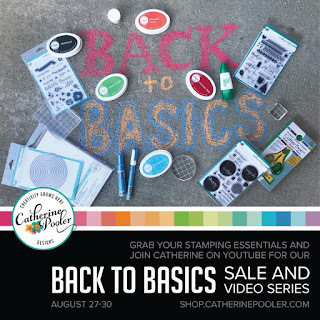 To add some fun to the series, the Catherine Pooler shop is offering a super fun sale! Run over to the shop and stock up on some essentials to get your crafting mojo back! You make such a good reason for folks to give the lessons a try! That is so kind, thanks Marcia! Kind of Batty Blog Hop Day 3! Kind of Batty Blog Hop Day 2!